Dr. Kathryn "Kiki" Fontenot, LSU AgCenter's state vegetable extension specialist, will be the guest speaker for the Stephen F. Austin State University SFA Gardens' monthly Theresa and Les Reeves Lecture Series, slated for 7 p.m. Sept. 13 in the Brundrett Conservation Education Building at the Pineywoods Native Plant Center. NACOGDOCHES, Texas - Stephen F. Austin State University's SFA Gardens will host the monthly Theresa and Les Reeves Lecture Series at 7 p.m. Sept. 13 in the Brundrett Conservation Education Building at the Pineywoods Native Plant Center, located at 2900 Raguet St.
Dr. Kathryn "Kiki" Fontenot, Louisiana State University's AgCenter vegetable extension specialist, will present, "You Say Tomato, I Say Tomahto; Let's Cut the Whole Thing Off." 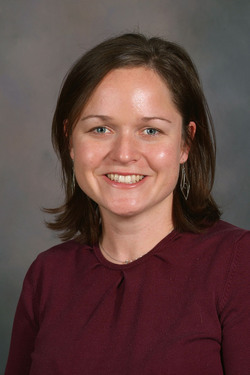 Fontenot received her doctoral degree in horticulture from Louisiana State University in 2009. Her job assignments as extension specialist include working with school gardeners, home gardeners and commercial vegetable producers, or as she explains, "basically, helping anyone in Louisiana growing tomatoes!" Fontenot is a regular contributor to the monthly magazine Louisiana Gardener and recently authored "The Louisiana Urban Gardener: A Beginners Guide to Growing Vegetables and Herbs."